Click the Edit icon to display the List Type details. This is where you can enable or disable a List Type. By default, all List Types are available for My and Public Lists. 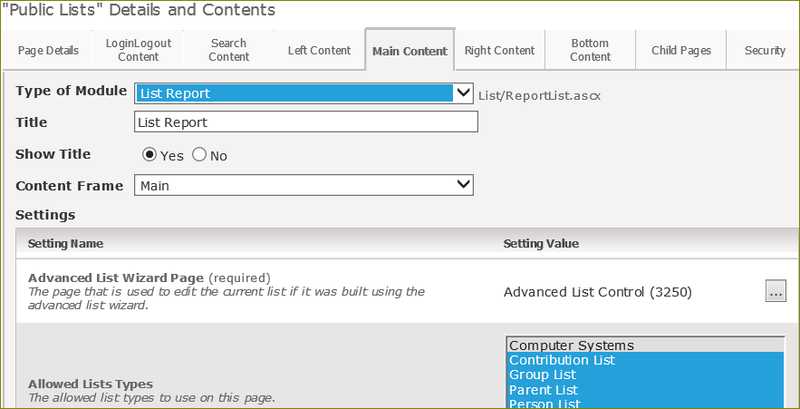 Arena Administrators can restrict access to List Types by selecting the desired List Types for the List Report module, as shown below. 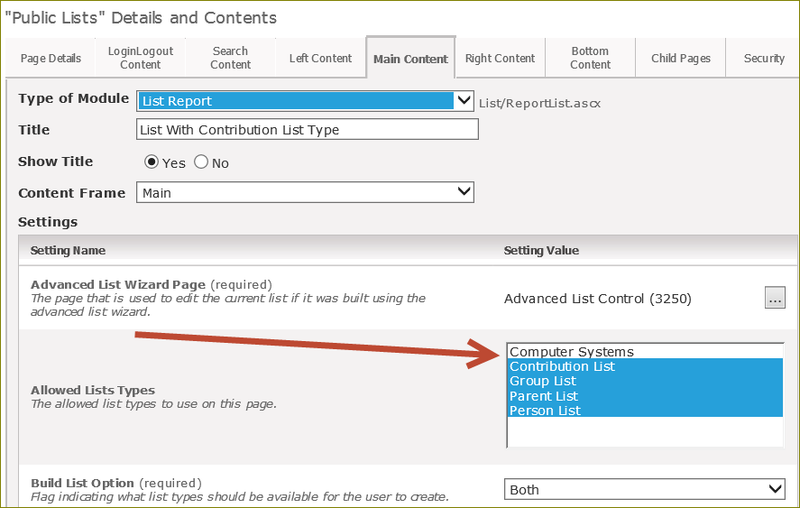 If the goal is to allow a limited number of users to the Contribution List type, you can add the List Report module a second time to the Public List page, with all the same settings as the original module and remove the Contribution List type. This module is also where you can set to make both Basic and Advanced Lists available. Then you can set security for the respective modules by the different users via security roles or individual users. You want users to have access to only one of these modules to avoid both modules displaying the My or Public List Detail page.